Randy Hemmah competes in the inaugural Darts on the REZ tournament. Christipher Drebes warms up with some practice throws. RONAN – Dart throwers from all over Western Montana and the Mission Valley converged on the 3.2.5 Bar in Ronan last weekend to compete in the Darts on the REZ Tournament. Nearly 80 dart throwers squared off in the three-day inaugural tournament which started on Friday evening and ran until late Sunday afternoon. The $25 entry fee, plus a $3,000 contribution from the bar, was returned to the winners in the form of cash prizes. One of the weekend participants was Mike Champ of Missoula, who acknowledged that his love for the game motivated him to compete in the tournament. The tournament was open to players of all skill levels who participated in blind draws, doubles, triples and singles events during the tournament. 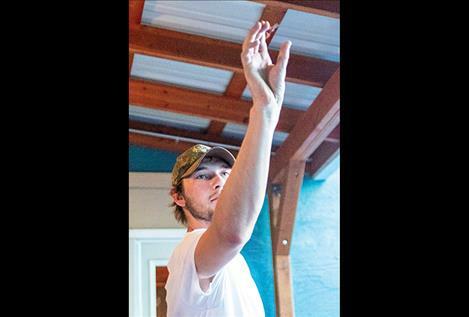 Though competitive, camaraderie ran throughout the tournament as dart throwers exchanged fist bumps on good throws and just hung out between matches. 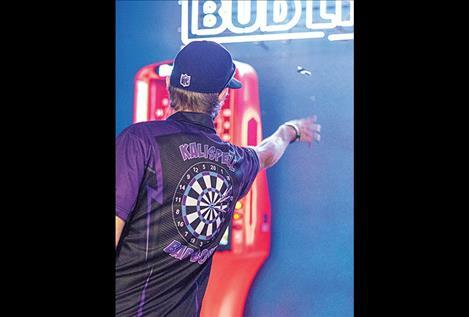 A first-year dart player, Randy Hemmah of Kalispell said he enjoys the challenging aspect of the sport. Bartel also noted that events like the dart tournament are good for the whole community, providing business to gas stations and hotels, as well as restaurants. 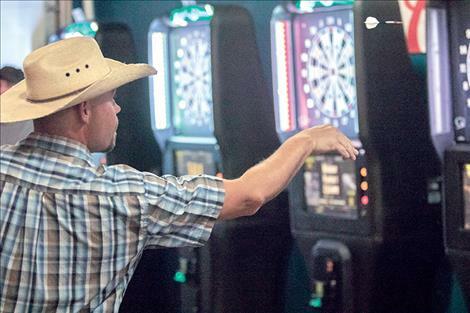 For more information about the dart tournament, or other 3.2.5 Bar events, please visit the business’s Facebook page.